Rounds: Ladies, Cadet Ladies & Gents WA1440, Metrics 1-5. Venue: Hillingdon Archery Club, Pield Heath Road, Hillingdon, Uxbridge, Middlesex UB8 3RN. Assembly: 08.00am / Practice: 08.15am – 08.45am. Awards: Daily Awards 1st-4th Ladies, Gents, Juniors and Cadets Recurve, Longbow, Bare Bow and Compound Awards according to entry. Teams: Recurve (4), Compound (3), Longbow (2), Bare bow (2). Rules: Only Archery GB members and WA affiliated club members; Dress Code is enforced under Rule 307; Archery GB cards or receipt must be available if requested. Record Status shoots are liable for drug testing and any competitor who is approached to give samples must comply. A refusal will be treated as a positive result. Parent/Guardians of Junior competitors must sign the entry form to confirm they are willing to be tested if required. Photography: In accordance with the Archery GB Protection of Children and Vulnerable Adults Policy, those who wish to take photographs at this event are to register with the tournament organiser on the day. Refreshments: BBQ Food, Soft Drinks, Sweets, Crisps and Cakes will be available throughout the day. Bosses: All archers will be shooting on Tenzone Layered Foam Bosses. Please note: There will be no provision for crossbows or professional archers. MCAA, SCAS and Brunel University (Sport) cannot accept responsibility for any loss or damage sustained at the ground and will not be liable for arrows damaged in the target or pass-throughs. ALL arrows must be found before leaving the field. Please advise a judge if you have a lost arrow and tell the same judge when it is found. Tents can be accommodated on the ground. Bosses. Single Day Entry: £16.50 Seniors / £12.50 Juniors. 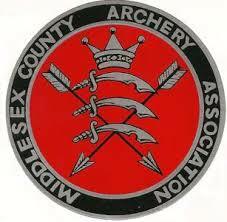 BACS to Middlesex Archery: Account Number 01080148 and Sort Code 40-42-14; use reference: “OT” plus your surname.